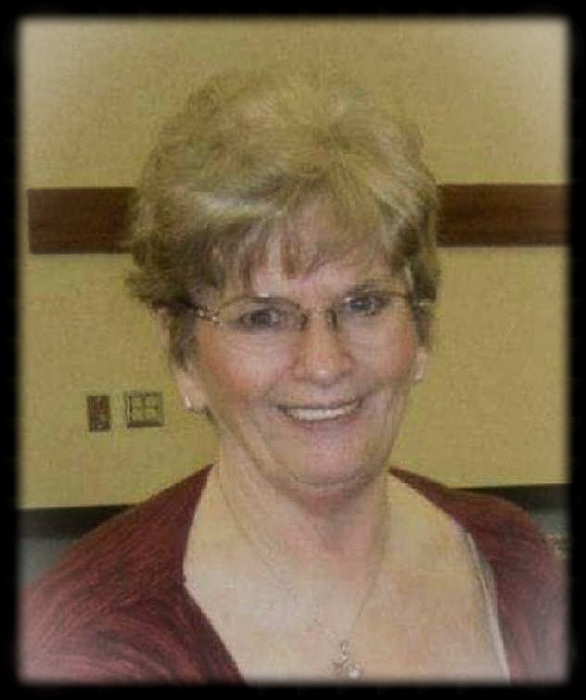 Bonnie Lynn Cherry, longtime Seminole resident, passed away Tuesday, March 26, 2019 at Seminole Care and Rehab at the age of 68. She was born September 28, 1950 in San Mateo, California to Robert Edward and Beatrice Juanita (Cooper) Fredrickson. She was the oldest child with 6 brothers. On July 19, 1969 Bonnie married Thomas “Tom” Cherry in Santa Clara, CA. To this union they had two children, Lisa and Duane. In December 1979 the family moved to Oklahoma due to Tom’s work. Bonnie worked at Wrangler (Blue Bell then) from 1981-1997. She retired due to health issues with her knees. Bonnie then became a stay at home grandmother. She loved to do crafts and loved to decorate for the holidays; especially from October-December. She enjoyed decorating her yard with yard art then later, it turned in to inflatables. Her yard was covered. She loved to see the looks of all the children’s faces when they came to see all the decorations. On Halloween, one of us had to count all the kids that came through. There were anywhere from 250-400+ kids each year. Bonnie loved her family and she especially enjoyed spending time with the grandkids and the great grandkids. She was a Mom and Nan to all. Bonnie is survived by her husband, Thomas Cherry of the home; daughter, Lisa Marcel and her husband Henri, of Seminole; son, Duane Cherry of Seminole; daughter-in-law, Teresa Cherry of Seminole; grandchildren, Tyler & Kalli Marcel of Seminole, Brandi Blackwell and her husband Kalone of Lecanto, Florida, Henri-Robert “Robbie” Marcel III and wife Krista of Seminole; great-grandchildren, Tevin and Jarrin Blackwell of Lecanto, Florida, Hudson Marcel of Seminole and one due in August in Lecanto, Florida; brothers, Robert “Wayne” Fredrickson and wife Barbara of Shingle Springs, CA, Donald Fredrickson of Seminole and Gary Fredrickson of Shawnee, OK; many other family, friends and kids she called her own and grandkids. Bonnie was preceded in death her parents; brothers, Alfred “Fred” Fredrickson, Bruce Fredrickson & Dale Fredrickson. The family would like to give a special 'thank you' to everyone at Seminole Care and Rehab and Heartland Hospice for all your love, care and support. Memorial services will be held on Saturday, April 13, 2019 at 2:00 PM at Seminole Community of Christ in Seminole.